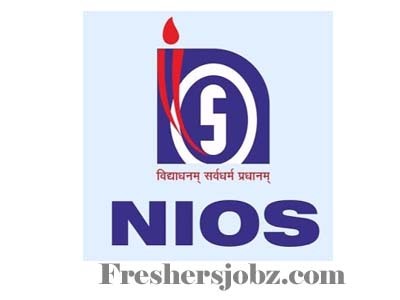 NIOS Notification 2018.National Institute of Open Schooling has released a notification for the recruitment of Group-A, Group-B and Group-C posts namely Director, Joint director, assistant director, assistant, stenographer, assistant engineer, junior engineer etc vacancies.Check the eligiblity and notification prior to apply for the positions. Selected candidates as assistant and stenographer will get pay in the level 4. Selected candidates for audit officer & AE will get pay in the level 7. Selected candidates as JE will get pay in the level 6. Selected candidates as assist. Director will get pay in the level 11. Selected candidates as Dy. Director will get pay in the level 12 and directors in the level 13. Mode of applying for NIOS recruitment is through offline mode. 07th September 2018 is the last date to submit applications. https://www.nios.ac.in/ is the link to download application form and send to below given address. Joint Director, National Institute of Open Schooling, A-24-25, Institutional Area, Sector-62, Noida-201309, UP.